SFI is a company that has been helping millions of people from all over the world to start up their own home business since 1998. They provide the training, marketing tools, customer service and the products leaving affiliates with the single task of referring new affiliates and customers to them. No need to be concerned about doing everything from scratch such as finding a product to sell, what price to set, how to deliver all over the world, which payment options to offer and so on. SFI has given you a home business in a box and all you need to do is promote it. If you want more information about SFI then click here for a general overview. Notice that they provide their address, phone number and a support center for people who want to contact them with any further questions. You will soon find out that SFI gives you full support in the form of phone and email contact as well as a support forum, a personal sponsor and step by step training. You also have this tutorial which has been written to take you step by step through the basics. SFI comes in the form of two websites. The affiliate center which is your virtual office and Tripleclicks which is home to the entire product line. The affiliate center provides you with everything you need to run your new SFI business such as affiliate websites and access to various reports. Tripleclicks is a virtual shopping store like Amazon which offers thousands of products that you can earn a commission from. The great thing about separating the two websites is that you can offer people the choice of a business opportunity or an online store with many products and bargains. The screenshot below shows you the SFI affiliate center. Every SFI affiliate receives access to their own personal affiliate center with all their information including the marketing tools embedded with their own personal SFI ID in the form of a number. Access to each section can be reached via the drop down menus at the top as well as quick and easy access to main reports and information separated by tabs. At first glance everything may seem overwhelming with too many menu options but it actually isn’t. Most of the options points to various pages of interest but you will quickly find that there are only a few pages you actually need regular access to. These pages are your reports and your message center. In this module I am going to be taking you through the main areas you need to know about so you can focus on getting started and leave the other features until later. Every business needs a product and the Tripleclicks store has thousands of them under many different categories such as arts and crafts, books, computers, digital downloads, health and wellness and many more. Unlike other business opportunities that focus on one particular product Tripleclicks has something for everybody so there is plenty to keep your customers happy. Here is a screenshot of Tripleclicks. As you can see from the screenshot there is a menu on the left which shows many categories. Tripleclicks offers great deals on various products on a daily basis as well as regular auctions where you can pick up amazing bargains for up to 90% off the retail price. Promoting Tripleclicks is easy with your Tripleclicks affiliate website. Just send someone the link where they can sign up for their free membership and Tripleclicks will pay you a commission on any product they buy as long as they remain a member. There is no need for you to do anything as Tripleclicks deal with all the promotion side. Tripleclicks allows you to make money by selling unwanted items from your home. As the old saying goes “One man’s junk is another man’s treasure.” Customers need to purchase TCredits for this which earns you a commission. You can also set up your own virtual store as an ECA where you can sell your own products. Customers can find your products on Tripleclicks and make the purchase without you promoting the product to them. Tripleclicks makes your product available to thousands of customers and sends you an email when a product is sold. Tripleclicks takes care of the payment while you take care of the delivery. 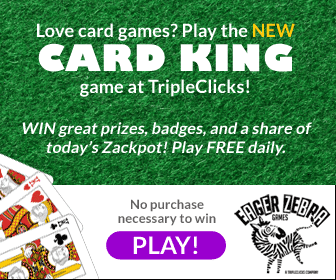 Every new affiliate automatically receives a Tripleclicks account so you can make money from them as they explore the many bargains to be had at the store. If you know people who are interested in the products but not the business opportunity then they can sign up as a Tripleclicks member only. Affiliates receive versapoints (covered later) when they make purchases which help them in their business, which benefits you as well. Tripleclicks will be covered in more detail in a later lesson. If you are interested in how SFI compares to other business then click here to read a PDF report. If you are not currently a member of SFI or Tripleclicks then you can join here by clicking on one of the banners below. Please enter all information into the sign up form and make sure you use a good email address. I highly recommend you use Gmail as it has a good delivery rate for home business and marketing type websites like SFI. You will receive your new SFI ID and password shortly after signing up and you will be able to start this tutorial. If you join SFI you will automatically become a member of Tripleclicks so there is no need to click on the second banner. If you wish to join Tripleclicks only as a customer then click the Tripleclicks banner and sign up for your new account. Both websites are free to join with no obligation to pay anything ever.